It’s not often I get a news release from Pyongyang, but this morning one landed in my email from the Pyongyang University of Science and Technology. PUST is a unique foreign-funded university in North Korea that’s been in operation since 2010. The school teaches electrical and computer engineering, agriculture and life sciences and management and finance. And expansion is afoot, according to the university. It said the medical services division has begun teaching classes in dentistry and later will cover public health, medicine, nursing and pharmacy. There are also plans for a future department of architecture, construction and the built environment. The latest batch of graduates, 105 students in all, graduated on Wednesday, according to the university. Of those, 99 were undergraduates and six postgraduate students received Master’s of Science degrees. “The latest graduates have completed four-year courses in electrical and electronic engineering, computer science; agriculture and life sciences; and finance and management,” it said. 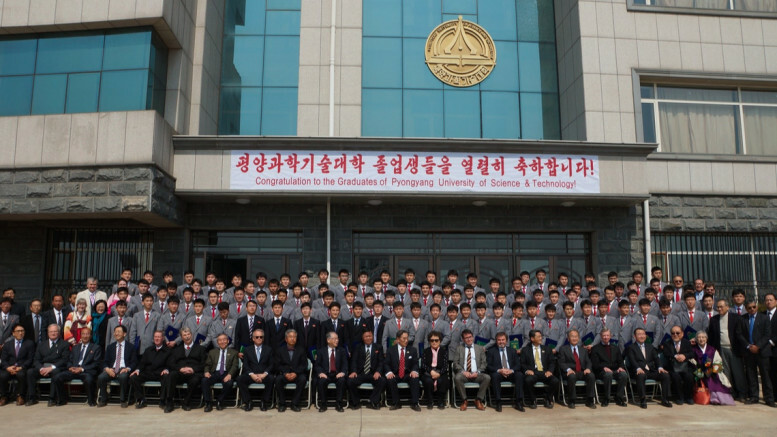 “Some of them will remain at PUST as graduate students and most others will go to various DPRK state universities for further study. Some PUST graduate and research students also go abroad for both short-term and long-term study at European and Asian universities, under various partnerships and scholarship schemes such as the EU ‘Erasmus’ projects,” the news release said. There’s not a great deal known about the inner workings of the university, in part because lecturers are often reluctant to speak to reporters about their experiences, but the BBC did a report from the university in 2014. It was also the subject of Kim Suki’s “Without You, There Is No Us,” which detailed her experiences while working there.